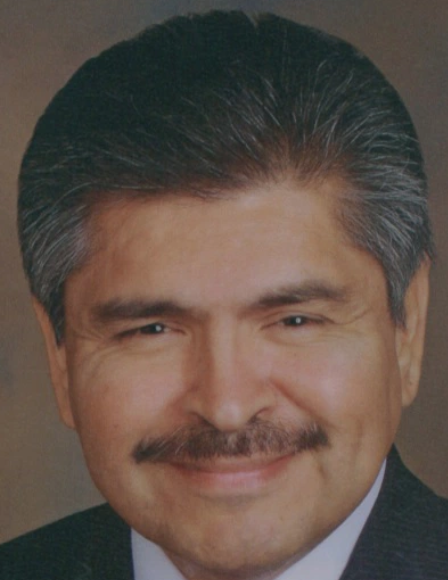 McALLEN — A trial date has been set for the attorney who worked as an informant for the government in a bribery case involving former State District Judge Rodolfo “Rudy” Delgado, court records show. Edinburg attorney Noe Perez — long rumored to be the informant in the government’s investigation who flipped on Delgado — pleaded guilty last month to one federal bribery charge, court records show. Perez’s court records weren’t made public until May 11, when Perez appeared for his initial hearing in a Houston federal courtroom before U.S. Magistrate Judge Stephen Smith. The government alleges that the matter and means of the conspiracy entailed Perez paying Delgado with money or other “items of value in exchange for favorable judicial consideration,” the record shows. “On some occasions, (Perez) would pay Judge Delgado a bribe after being solicited to do so, on other occasions, (Perez) would pay Judge Delgado a bribe on his own timeline,” the four-page record shows. Perez and Delgado used the phone to contact each other to set up meetings where a bribe would occur. The government alleges the bribes occurred over the course of nearly a decade, beginning on about January 2008, until about November 2016. In exchange, Delgado would give Perez favorable judicial consideration, including dismissal of charges, dismissal of cases, release from prison, reinstatement to community supervision, and personal recognizance bonds valued at $5,000 apiece, instead of jail time. In one instance, Delgado allegedly ordered the arrest of a client of Perez’s in June 2016 after that person failed to meet the conditions of their release, but an arrest was not made until December 2016. “(Perez) and Judge Delgado would engage in fake transactions that were actually conduits for the bribe payment,” the record reflects. After the arrest, Perez “paid Delgado approximately $260 in U.S. currency in exchange for Delgado’s agreement to release (the client) on a personal bond,” the indictment reads. In a second incident, the judge is alleged to have taken a bribe in exchange for granting a lawyer’s client a personal bond and his release from jail, the court record states. Perez also told government prosecutors that on at least 20 different occasions, he bribed Delgado with cash, usually between $250 and $350 each time. The last alleged bribe, in which more than $5,000 was given to Delgado, took place in earlier this year in January. 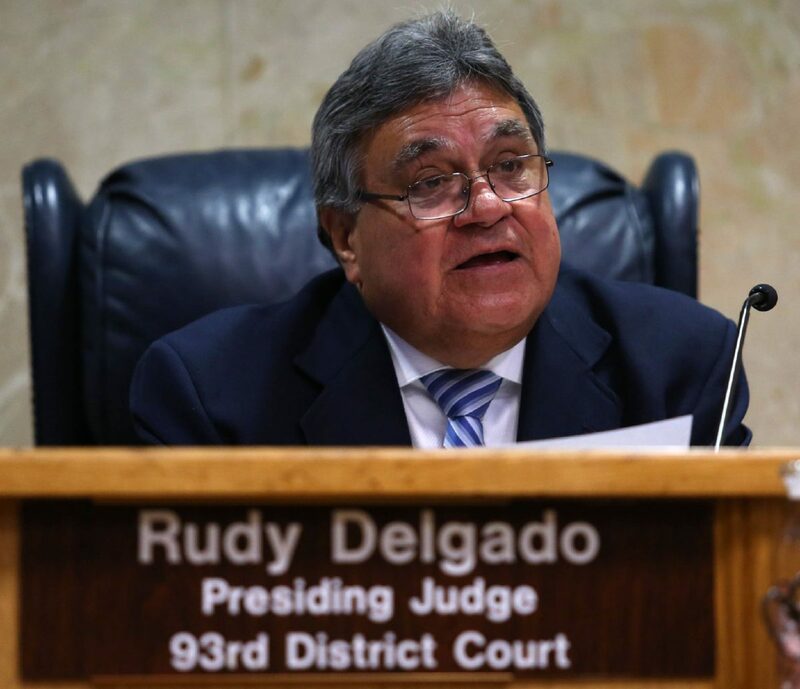 Following the indictment, the State Commission on Judicial Conduct suspended Delgado without pay, but instead the longtime judge resigned on April 30. “I believe it is in the public’s best interest that the 93rd District Court continues to operate,” Delgado said during a news conference in the courtroom, which included a handful of attorneys and members of the media. Delgado’s trial is tentatively set for Sept. 10. Perez, who appeared alongside his attorney Guy Womack, after pleading guilty, was allowed to continue to remain free on bond, court records show.